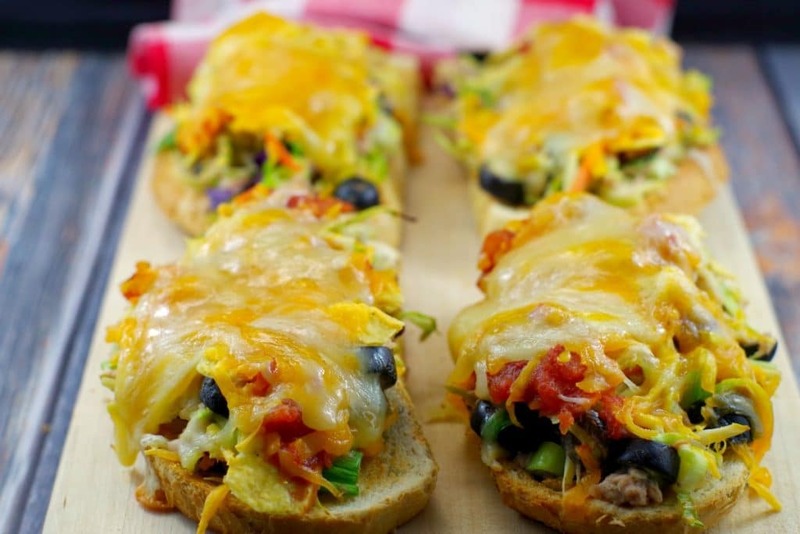 You don’t have to be a big fan of canned tuna to love this healthy Tuna Melt Recipe. 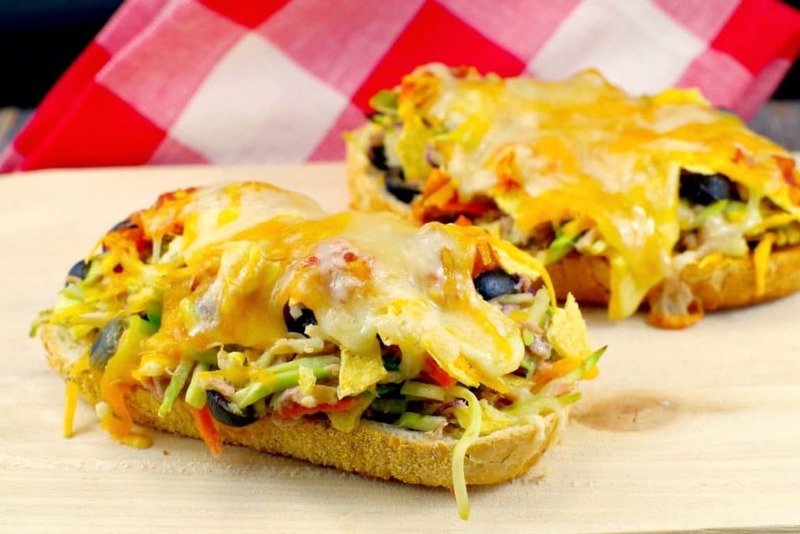 This new take on an old favourite pairs Mexican flavours with healthy broccoli slaw, two types of gooey melted cheese and good ol’ canned tuna for an easy and quick weeknight dinner. 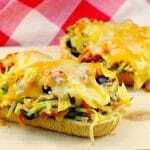 If you are looking for healthy canned tuna recipes this Tuna Mexi-Melt is a unique, quick and delicious dinner! Canned tuna is an excellent meal option for both price and convenience. Yet buying tuna can be completely overwhelming because of the health considerations surrounding mercury content and Omega-3 fats. SO, WHAT TUNA SHOULD YOU BUY? Many people instinctively reach for the lowest price or most familiar brand, but there are other considerations. When you are shopping for tuna, it’s important to know that there are two main kinds of canned tuna: chunk light (skipjack) and solid or chunk white (albacore). Larger, older fish tend to have more more concentrated levels of mercury than smaller, younger fish. Albacore, or white tuna, (comes in “chunk” and “solid” varieties) are the big fish in the tuna world so albacore has the highest mercury level of all the canned tunas (and 3x higher than skipjack). Light tuna, or Skipjack, tend to be much smaller fish than albacore, so naturally have less mercury. Both types are good sources of protein with very little fat, but Albacore tuna has marginally more calories (ie: 109 calories as compared to 99 in a 3-ounce serving in chunk light tuna) 2/3 more fat and slightly more protein. Albacore has more sodium and less selenium, vitamin B-12, niacin and iron. However, light tuna (or Skipjack), has a lower level of Omega-3s than albacore, but is still a rich source of the most efficiently used Omega-3s, EPA and DHA. Albacore has a lot more healthy omega -3 fats (808 milligrams versus 239 milligrams in chunk light)! Albacore tuna has a firmer texture, and a milder flavor than the solid or chunk light fish varieties. Skipjack tuna can also be mushier. Canned white, or albacore (0.32 parts per million of mercury). Children under six can eat up to one 3-ounce portion a month; children from 6–12, two 4.5-ounce portions a month. Adults, including pregnant women, can safely eat it up to three times a month (women, 6-ounce portions; men, 8-ounce portions). Canned light — (0.12 parts per million of mercury). Children under six can eat up to three 3-ounce portions per month. 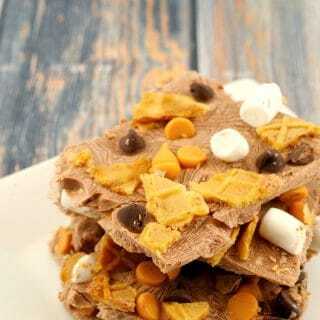 Older children and adults can safely eat it once a week. But look out for “gourmet” labels. They are made with bigger yellowfin tuna and can contain mercury levels comparable to canned white (albacore). If you are most concerned about mercury content and eat tuna more than a couple times a month, then you will likely want to stick with SKIPJACK (CANNED LIGHT TUNA). If getting an OMEGA-3 powerhouse meal is your priority and you don’t eat tuna that often, then ALBACORE (CANNED WHITE TUNA) may be a good option for you. Sustainability is another big can of worms that I didn’t have room to open up in this post. So, if that is a concern for you, then I suggest you research it. Personally, I like both types of tuna and I don’t find much of a difference in the taste or texture (I couldn’t pick out which is which in a blind taste test). I have also found the canned light (skipjack) to generally be a little more expensive than the canned white (albacore). Although, not by much (maybe up to $.50 per can). Even with these considerations, canned tuna is still a great meal option, as long as you stick to the recommended guidelines. Now that you have a sense of what to look for when you are shopping for tuna, you can make an informed decision about buying it. This tuna melt recipe is perfect for those days when you are looking for easy, quick and healthy canned tuna recipes! Follow my “MAIN DISHES” board on Pinterest for delicious, healthy and easy weeknight meals! 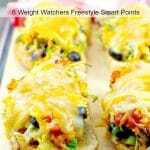 This new take on an old favourite pairs Mexican flavours with healthy broccoli slaw, two types of gooey melted cheese and canned tuna for an easy, healthy and quick weeknight dinner with only 6 Weight Watchers Smart Points per serving. 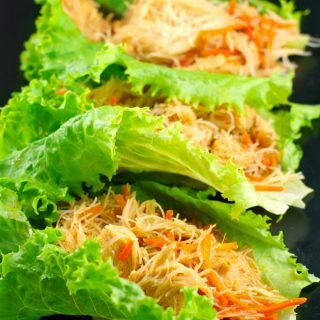 If you are looking for canned tuna recipes, this unique, quick and delicious recipe is for you! In a small bowl, mix garlic, lime juice,mayo and agave together with a whisk. Mix tuna, broccoli slaw, green onion, jalapenos, cilantro, black olives and salt together in a large, separate bowl. Pour mayonnaise mixture over broccoli coleslaw/tuna mixture and mix well. 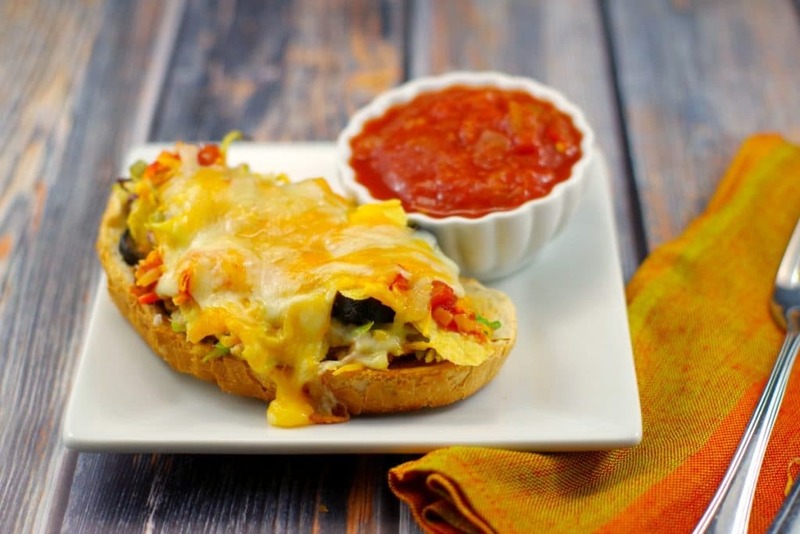 Spread 1 tbsp of salsa on each melt over crushed taco shells. Melt in oven for 8 minutes, then turn up to broil for about 2 minutes or until cheese is bubbly and starting to brown. Top with additional salsa and sour cream as garnish, if desired. NOTE: You will have a 1/2 bag of broccoli slaw left, so why not try my Ukrainian Shortcut Borscht for a quick and easy weeknight meal? This post is part of The Country Cook’s Weekend Potluck link up!